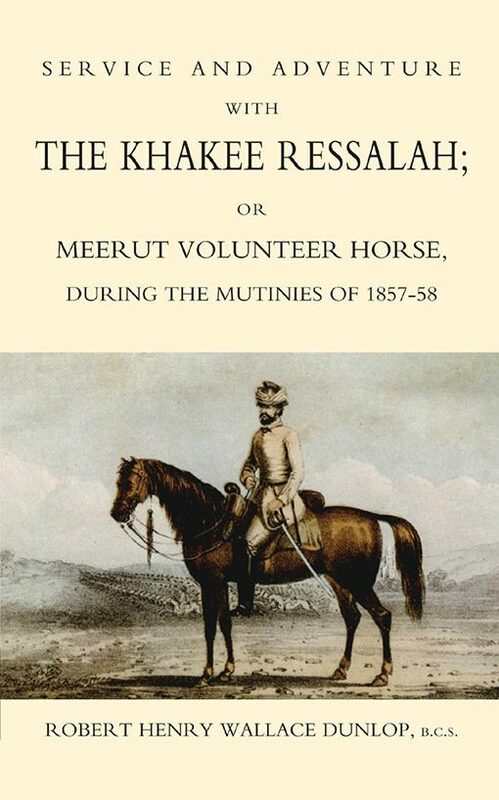 The personal memoirs of an officer who served throughout the Mutiny in the Meerut District, taken from his notes and personal letters. Gives an excellent picture of the Civil Rebellion and the effective actions of a few brave Englishmen in its midst. Sah Mull. Often cited by historians of the Mutiny, Dunlop’s account, at once vivid and thoughtful, represents the reactions of an intelligent Anglo-Indian who sees faults and qualities on both sides. HIs book includes a useful appendix listing all those units of the East Indian army which mutinied. Robert Henry Wallace Dunlop, B.C.S.